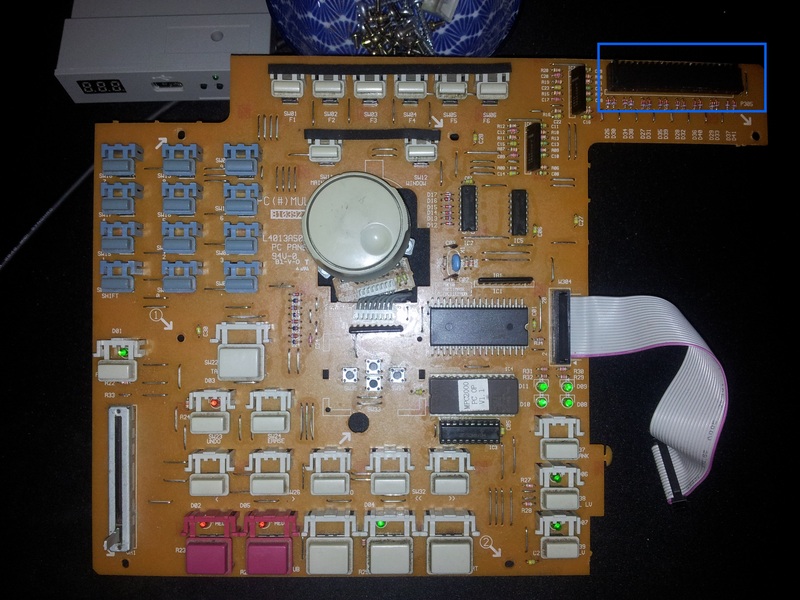 So just bought a Mpc 2000, I am currently refurbishing it and noticed that the ribbon cable connector where the pad sensor strip plugs into is lose on the board and is raised a tiny bit. The solder joints look fine however. Not sure if this is normal as this is my first mpc. If this is normal i might just hot glue it for peace of mind as it feels pretty flimsy. i don't suggest putting hot glue in case you need to re-seat the connector at some point down the road. Once the case is all closed up nothing will come in contact with that ribbon cable anyways, so as long as it is plugged in properly it should be fine. I'm not too sure on about the 2000 but I've seen that a lot on 2000XL boards that I mod. Does it look broken? I thought after you insert the ribbon you just press it down and it clicks in. Could you post a closer picture to illustrate what you're talking about?